Preeti: Why did you choose such a difficult subject for your comeback venture? Shonali: I don’t shy away from subjects just because they are difficult or challenging. In fact, I find it challenging to find a way to tell a story that no one else is likely to tell and needs to be told. It takes me a long time to settle in on what film I want to make—because it takes so much out of me for a few years. It’s like birthing a baby till he/she goes to preschool! It’s intense. Preeti: The mother–daughter relationship is your forte. How is the treatment different in this film? Shonali: In a way it’s very similar to Amu—in that they are extremely close and the centre of each other’s world. The specificities are different. In Amu, the mother was from a Bengali family. She was a political activist and lived abroad. In Margarita, With a Straw, the mother is a simple Maharashtrian housewife at one level and at another it’s she who wears pants in the family. She is the one who pushes her daughter to be out there in the world and fights for her to be treated as normal. Amu explored adoption and the complexities that arise between mother and child over that. 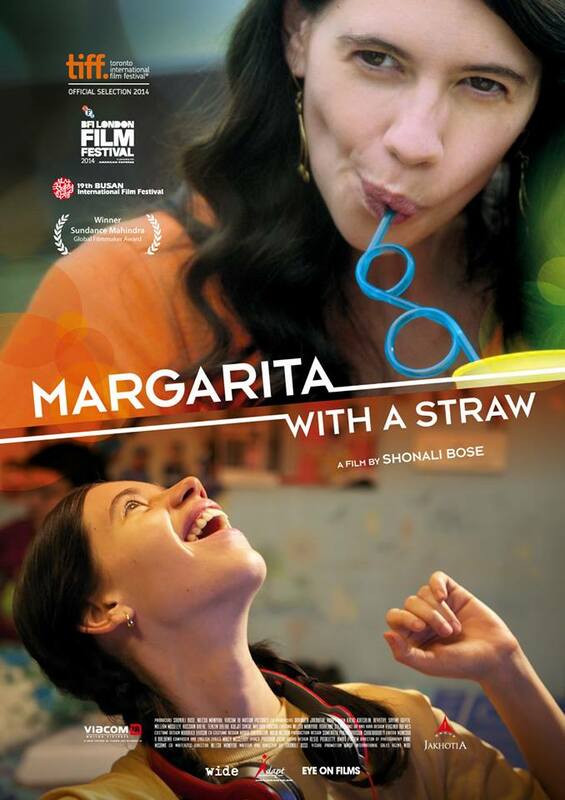 In Margarita, With a Straw, there is also a flip in the relationship of the caregiver and her subject. Both deal with the pain of loss of mother. Preeti: Is the treatment of the protagonist from a sympathetic point of view or one of empowerment? Shonali: You never sympathize with the protagonist; you empathize with her. Even though she is disabled, she is created as a nuanced character with her own shades of grey. So it’s impossible to pity her. Her journey is indeed empowering and leads her to a place of self love.